Lee Edna Margaret Rollins 96 passed away on October 23, 2018 was born October 31, 1921 in Kansas City, Missouri. The 3rd child born, to the union of John and Willa Anderson. Lee Edna had 3 musician uncles that she remembers listening to at a very early age, thus began her true love for music which she carried throughout her life and passed on to her children, grandchildren, and great grandchildren. There was ALWAYS music playing in the Rollins household. 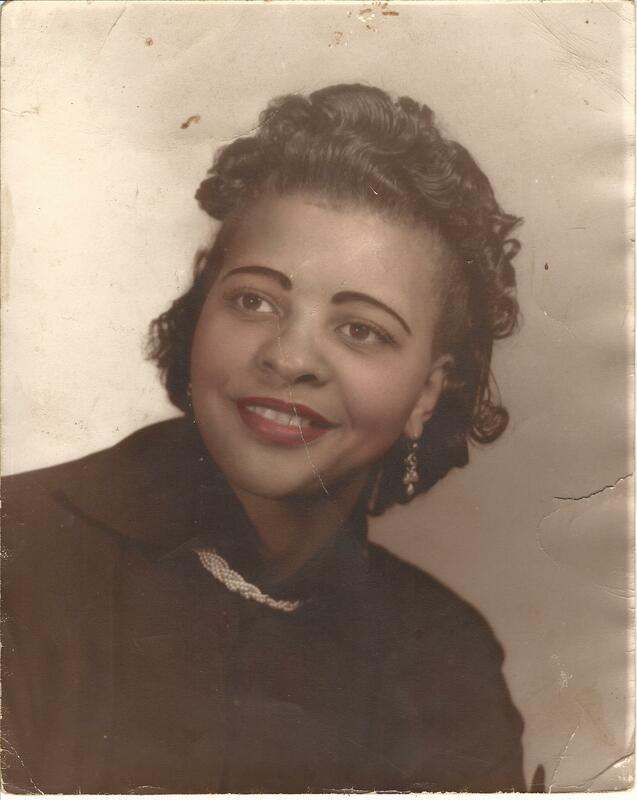 Lee Edna became one of the very first black female real estate brokers in KCMO, and was a role model not only to her own children but many, many other young women and men in her community. She helped hundreds of people become first time homeowners and rented out her houses to countless families who otherwise would have been homeless. She was truly a pillar in the neighborhood she loved so much for 97 years. Lee Edna met & married Lawrence Rollins, the love of her life, in the early 1940’s and they were very happy until he passed in 1986. She was an excellent business woman and a charitable giver but her most cherished position in life was being an awesome wife, a mother, and a grandmother. Lee Edna accepted Christ as her Lord & Savior as a child and she had an amazing relationship with God. Lee Edna was preceded in death by her brother (Sylvan) & sister (Edmonia), her husband (Lawrence) 3 children (Norman, Karen, Craig) and many other family members and friends. She leaves to cherish & miss her 1 brother, John Hensley of California, 5 children, Floyd Williams of Massachusetts, John Woods of California, Omar Hazim (Deidre) of Topeka, KS., Diane Hawkins and Sharon Arrington of KC, 21 grandchildren, over 20 great-grandkids and a host of great-great grandkids, nieces & nephews and friends. Many of the neighborhood kids from 28th & Tracy will never forgot her loving & welcoming ways.